When you’re out there shredding with your bros (and lady-bros), you have to let everyone on the Internet know you’re ripping, right? So how do you make sure that the people know that you’re constantly killing it, huh? Well, the answer is simple … post, post, post! 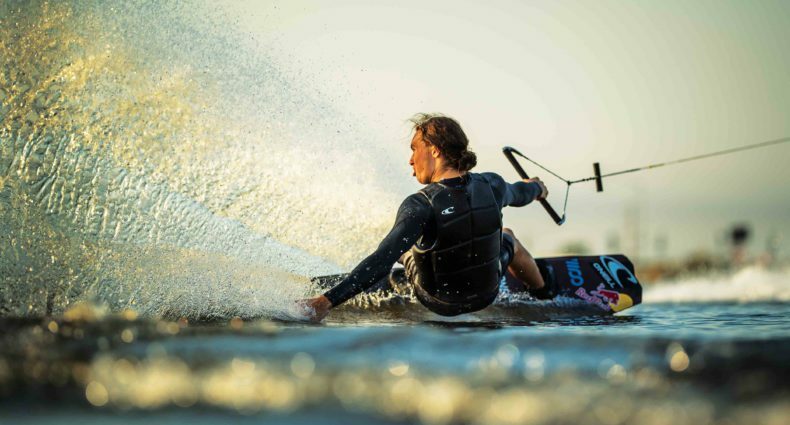 Facebook, Instagram and Twitter are all tools at your disposal to show off your wake-shredding prowess. But you don’t want to just post any old content, do you? Of course not! You only want to post hammers and you shouldn’t settle for anything less! Because if you’re not dropping hammers every set, then what are you even doing? Hammers aside, you’ve got to get creative when getting your shots. Last thing you want is some shakey, pixelated, out of focus video or photo shot straight from the boat, right? Right! If you want to get “The Shot” then you’re going to have to try a bit harder than that. Luckily for you, we’ve come up with a little list of tips and tricks to try next time you’re out riding, so you can really brighten up that Insta-feed of yours. Be careful though, getting banger clips and photos is a full time job so if you’re not ready for Insta-fame, then turn back now! Get a GoPro – Ever since its creation, the GoPro has been a vital tool in getting banger clips. It’s light, waterproof, and easy to use. So get one, get close, and get gnarly! We recommend getting multiple to capture every angle. Don’t reverse record – It might sound dumb but reverse recording is a real epidemic these days. Nothing’s worse than having a killer set just to review the footy to see that your friend missed every shot because he recorded during the down time and stopped during the action. Don’t be that guy! Diaper up – Don’t have a tube? No problem. Grab your camera, a telephoto lens, and diaper up! All you need is a couple PFD’s and a nice stretch of water. Put those legs through the arm holes of the vests and float on out. Get the boat to pass by you and have the rider hit the wake when they’re in your vicinity. Just watch out for that splash and don’t take a board to the noggin! Make a plan – This one really gets back to tip #4. Get a plan together before jumping in the water commando style. Make sure your boat driver knows where to go and the rider knows where to hit the wake so nobody gets smoked. FOCUS – What blows a shot quicker than anything? The rider not being in focus! So whether you’re doing things manually or using auto, make sure you know the difference between blurry and sharp! Get artsy – Creativity is key to turn a mundane shot into a work of art so try to think outside the box when it comes to your shots. If your stuff looks like everyone else’s, how are you going to stand out? !